Every year we’ve been in business, some of our antipodean clients have hired our campervans and motohomes to visit Villers-Bretonneux for the ANZAC Dawn Remembrance Service. With just two months to go, we thought we’d help anyone thinking of coming over for this year’s commemoration with a suggested itinerary and useful links. 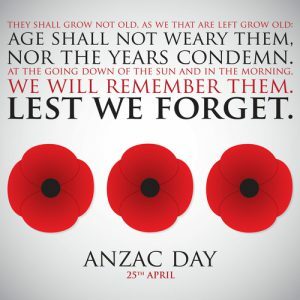 Every 25th April, Australians and New Zealanders commemorate ANZAC Day, in remembrance of their servicemen and women who have served in various wars and peace keeping missions. ANZAC, the Australian and New Zealand Army Corps, was formed during WWI. They fought with great courage and suffered heavy losses throughout the conflict. A poignant ANZAC Day Dawn Service is held every year, at 05.30 on 25th April, at the Australian National Memorial in Villers-Bretonneux, France. This ceremony pays homage to the Australians who served during the First World War and particularly remembers those who fought on the French battlefields and in the Somme. 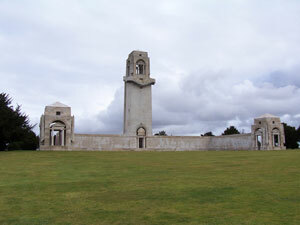 Some 4,000 visitors (impressive as most will come from the other side of the world) are expected to attend this service on the 102nd anniversary of ANZAC Day. Why a campervan or motorhome? If you are planning to attend, a campervan or motorhome can provide a good combination of accommodation and transport for your trip. The dawn service takes place in a rural part of the Somme, about a three-hour drive from our depot, so your home on wheels will provide a very convenient base, with all the facilities you need. If you are interested in touring WWI historic sites, there is a great deal to see and do in the Somme region. We suggest you take at least a week to explore while you are there. If you are heading to the ceremony, allow plenty of time to get in position before the day. Friday, 21st April: Pick up your campervan during the afternoon. After the handover briefing, head for a local supermarket to stock up on food supplies then stay locally on your first night. Saturday, 22nd April: Head up to the Somme area (skirting around the east side of Paris on Saturday morning when the traffic is quiet). Saturday, Sunday, Monday: Spend the rest of the weekend and Monday exploring the hundreds of interesting WWI sites of the area and getting yourself in position for the ceremony, which takes place very early on Tuesday morning. The Somme Battlefields website will help you decide what to see and do. Spend the next two to five days exploring the many WWI sites and monuments on the France/Belgium border. Great War Centenary is an excellent website to help you plan that part of your trip, as is The Australian Remembrance Trail in France and Belgium. If you want a break from the emotion of WWI, you could simply head to another part of France for a change of mood and scene. 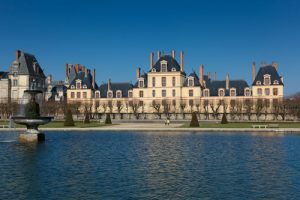 The Champagne region is easily within reach, or perhaps make a loop back to the FMH depot, past the west side of Paris, to see Monet’s Gardens at Giverny, Chartres Cathedral and City and Fontainebleau Palace. How much you decide to fit in will very much depend on the length of your trip. You can return your motorhome any day except Sunday, so customise your itinerary and select your return date to fit around your other plans. Finally, here are some more tips on exploring the WWI sites from WWI tour guide and Great War enthusiast Glen Moynan.